Day 2, 100*F weather, no leaks. 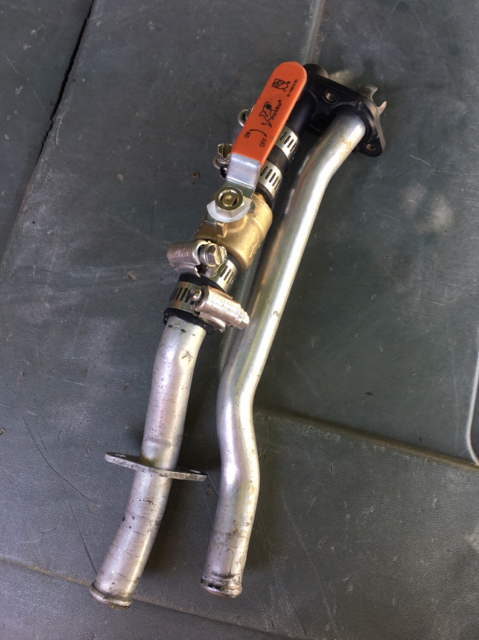 Appreciated if you can advise me on which hoses that the heater valve (PART#: 64 11 1 386 707) be connected to, either to the hose coming from the back of the head or the hose coming in from coolant reservoir. Both heater valve and heater core hoses are all metal in my 1990 BMW 325i. Those hoses were bypassed by previous owner and I just replaced them with a new heater valve and heater core. Thank you in advance. Sorry..I am new the forum. Back of the head to the bottom aluminium line. Top aluminium line goes to the radiator. Thank you! I will revert those back as I have connected wrong. No wonder I have no heat. I will keep you posted. any chance you can do a write up on that open close valve thingamabober!? sorry @jjoc i meant a write up on this! seriously! so if i have no AC (24v swap), can i just fab up a straight pipe and forget the entire heater valve? any reason why i wouldnt want to? I wish I had more pics, but that’s all I’ve got. The valve is $10 from home depot. Just takes some clamps and some coolant hose to fab up. Also, I think making it a straight shot will cause your air to blow max heat all the time. Since AC wont matter in your case I guess it depends if you want to control the heat or have a fan. if i close the valve, essentially im closing coolant flow off to the heater system which in turn would then allow the coolant to just cycle in the engine as if the heater core was bypassed right? Yes that is correct, or at least that was my understanding of how the system works. I could be wrong though. You are correct - closed disables hot coolant from going through the heater core, causing there to be no heat.